This animation shows how the illumination of Ceres' northern hemisphere varies with the dwarf planet's axial tilt, or obliquity. In the first frame the northern hemisphere is shown when Ceres' obliquity is 2 degrees, which is the minimum tilt. Regions that remain in shadow are shown in blue. The illumination shown is for the northern solstice, which is when the north pole is most illuminated. 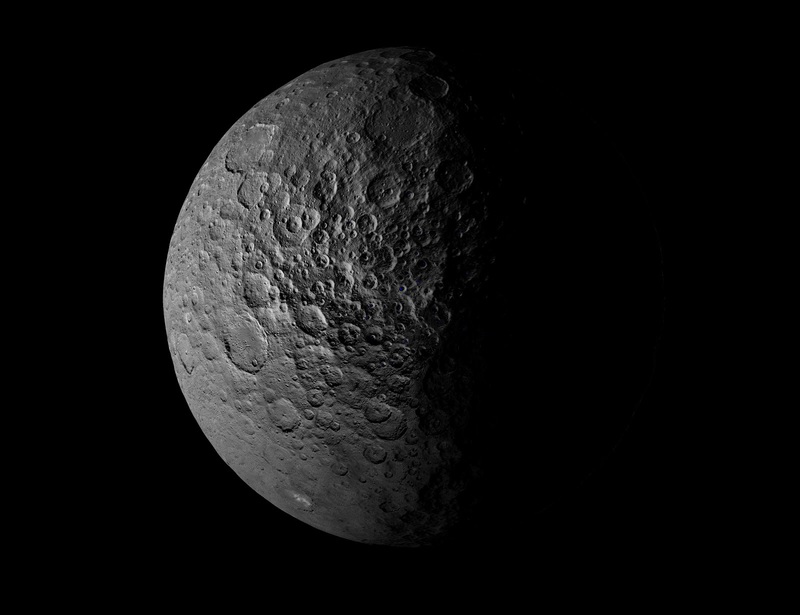 The second frame shows the same scene when Ceres' obliquity is 12 degrees. More polar regions are illuminated (this view is also for the northern solstice). 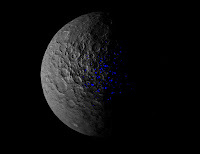 The area of the regions that remain in shadow, marked with blue dots, is much smaller. 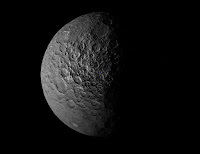 The third frame shows the same scene when Ceres' obliquity is 20 degrees, which is the maximum tilt. The red circles show the only two craters in this scene that still have permanently shadowed regions. 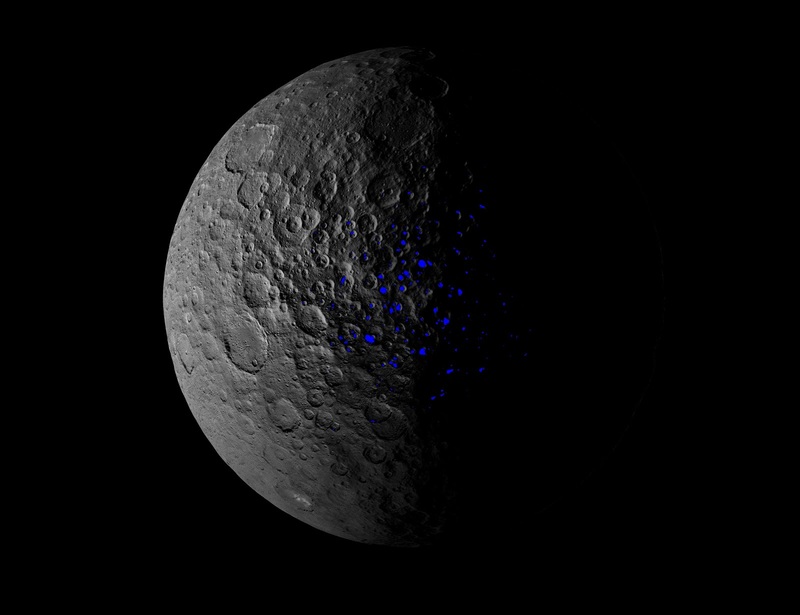 The polar regions are much better illuminated at this high obliquity.